The rapid rise of the social influencer has given brands new and exciting ways to get noticed by customers. But it’s also raised significant questions around the transparency of such relationships. Recent guidelines launched by the Australian Association of National Advertisers (AANA) pushing brands to disclose who they are collaborating with on sponsored influencer posts have been generally welcomed by the industry. Yet there are a number of experts who think more needs to be done. Principal at Muenster Solicitors and Attorneys and adland lawyer, Stephen von Muenster, has been calling on the industry for such guidelines for a few years now and sees their introduction as a step forward in putting consumers first. “The consumer should be put first - not the influencer or brand, so the consumer should be treated with respect and know they are part of a trusted online community,” he tells CMO. In full force since March this year, the AANA’s changes to its Advertiser Code of Ethics stated social media ads must be “clearly distinguishable” and “not camouflage” that they are advertising. This includes ensuring brand posts on social have disclosure terms such as #ad in the comments section. The code is enforced by Advertising Standards Board, which is funded by the ad industry, and is also closely monitored by the ACCC. Social media educator and founder of Hancock Creative agency, Alecia Hancock, also welcomes the AANA ruling as a positive step forward for social media advertising. “It recognises what we've known for a long time, ads on social media are an incredibly effective element of any advertising campaign,” she says. “Acknowledging the same advertising standards apply is a powerful step forward in both recognising digital media, but also in protecting the people who use it." International Social Media Association (ISMA) president and principal of Axis Legal, Sara Delpopolo, says the changes may even lead to advertising innovation. “Being clear about the 'vision/dram' that is being promoted by social media influencers and marketers will not stifle marketing, but will lead to innovation,” she says. “Audiences are perceptive and will appreciate the clarity - they will not ‘switch off’. Naked Communications’ strategy director, Craig Adams, agrees, adding the changes mean brands now need to work harder and better to engage with their audiences on social media. Several experts argue the move will not have any major impact on most brands, nor customer perception of brands. For example, recent research conducted by Social Soup following the rules of disclosure found clearly calling out sponsored content does not impact influencer engagement levels. For Spiteri, third-party review from influencers is a valuable example of a business and brand willing to put itself on the line as it often has no control of the message, nor the outcome of the placement. Blogger and social media influencer Jill Wright, who has a following of over 45,000 on her Instagram page, @iamjillwright, agrees. “Influencers or bloggers by definition speak about what they are interested in and influence their readership based on their opinions,” she says. “People are following them for their very clear opinions on topics. I find it hard to understand how this body thinks readers are naive enough to think that brands don't play a part in some of the material." 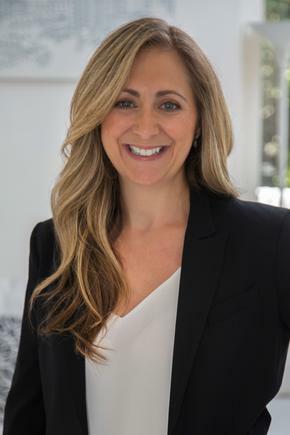 Expert talent agency, The Lifestyle Suite’s director, Simone Landes, also asserts most of a brand’s customer base or potential consumers aren’t blind to the commercial relationships underpinning much of the social media activity and support for the brand espoused by various influencers. “What’s interesting is that an audience will be OK with that, if they can genuinely connect the dots, if the influencer and the brand inherently fit and that the relationship between the two is a positive one,” Landes says. According to publicist at The Gap Agency, Nicole Watson, it's important to remember today’s socially savvy consumer is hyper-aware of when they are being advertised to. “The generation of today are spending more time on social media than ever before and are becoming able to distinguish when being advertised to, even when it is not clearly specified or in a traditional sense in most cases,” she says. “In terms of the impact the new AANA rulings will have on brands perceptions, it is in the best interests of brands to think of influencers the same way we’d think of traditional media, for example by maintaining editorial independence and integrity.